In the past few years, terms like “lifelong learning”, “lifelong learners”, “SkillsFuture”, “upskilling”, and “reskilling” have become buzzwords in the Singapore workplace and tertiary education landscape. Universities respond to this national initiative in various ways. In the first of a two-part series on lifelong learning at NUS, we chat with Professor Susanna Leong, Vice Provost (Lifelong Education) and draw insights from her on NUS’ response and approach to lifelong learning and adult education. Drawing from her many years of experience teaching executive programmes at the NUS Business School, Prof Leong shares with CDTLink what Continuing Education and Training (CET) at NUS would look like and entail. She also discusses the implications of the NUS Lifelong Learning Initiative on the NUS classroom, teacher, and teaching, and how faculty members could better prepare for a more inclusive and diverse student profile and classroom. ^To activate subtitles/captions, click on “CC” within the Youtube screen. Best viewed on Microsoft Edge, Firefox, and Google Chrome. Continuing Education and Training (CET) is not new at NUS; Faculties and Departments have been offering various types of workshops and programmes for adult learners. However, it was not until the recent few years that CET gained traction, especially with the setting up of the School of Continuing and Lifelong Education (SCALE) in June 2016. 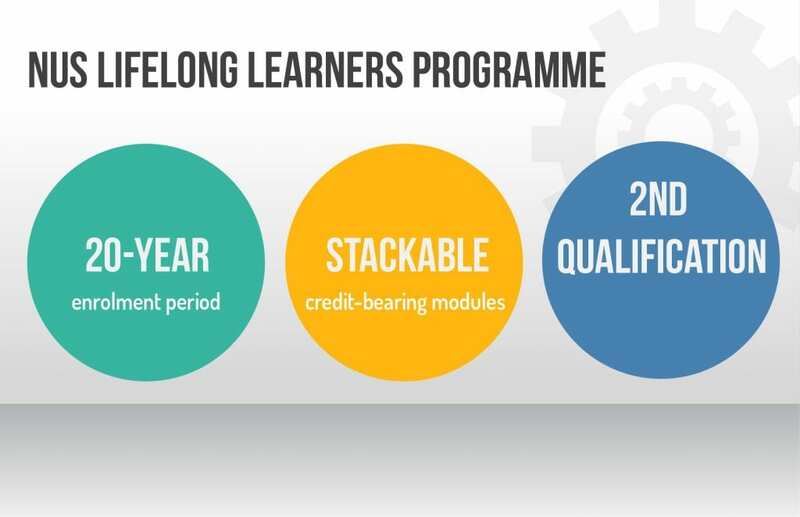 In 2017, initiated by then NUS Provost (and current NUS President), Professor Tan Eng Chye, the first series of lifelong learning courses were introduced to NUS alumni for reskilling and upskilling. Encouraged by the positive response from the alumni, the University recently launched the NUS Lifelong Learners Programme (NUS L3). Current NUS students, also known as pre-employment and training (PET) learners, and NUS alumni in particular can access a catalogue of skills-based and industry-relevant modules and short courses for upgrading themselves, whether it is to take on new job responsibilities or pursue alternative careers in their area of interest. NUS faculty have responded positively to the call to be involved in CET and to offer modules and programmes. 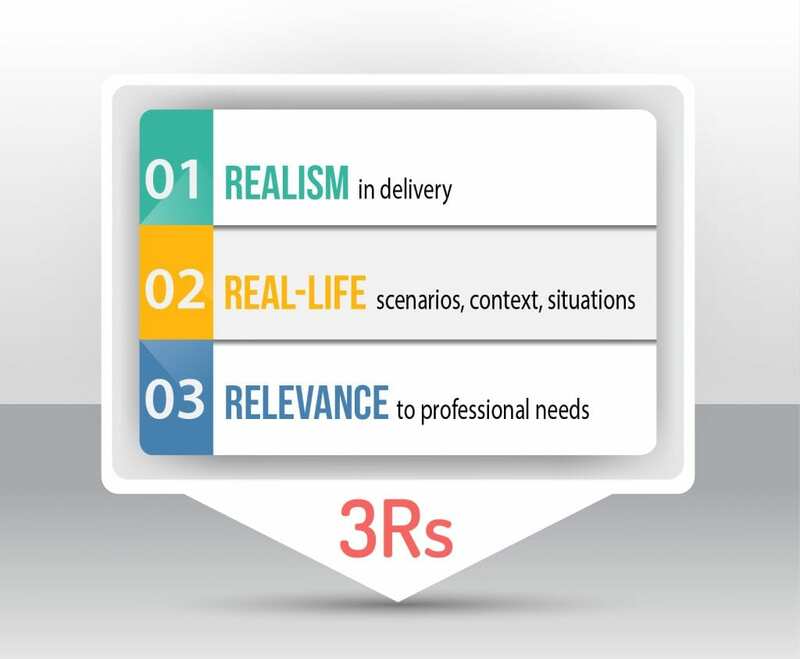 In the first iteration of the NUS L3 CET course catalogue, there is a suite of modules offered by the faculties of Engineering, Science, Arts and Social Sciences, as well as the schools of Computing, and Design and Environment. According to Prof Leong, the typical CET learner would likely be individuals who have graduated at least 5-6 years and embarked on their careers. She surmised that after 5-6 years in the workforce, they may come to a career milestone where they might look into reskilling or upskilling. In terms of the type of CET courses offered at NUS, there are currently 534 academic modules and short courses offered in the NUS L3 CET course catalogue, of which 168 courses are eligible for funding from SkillsFuture Singapore (SSG). For colleagues experienced in CET, NUS L3 offers greater opportunities for them to engage in adult education and make an impact on adult learners. For colleagues new to CET, NUS L3 presents a good opportunity to find out if developing and teaching CET courses, and engaging with adult learners is a path they are keen to embark on. CDTL has been running a new series of workshops on inclusive education, which includes teaching CET learners. In terms of research and teaching gains, there is plenty of scope to obtain valuable course-related feedback, in tune with industry developments, from alumni and industry players. Such feedback would further inform faculty members’ disciplinary research, and enhance their insights on curriculum and materials that will give more nuanced meaning to the term “future-ready graduates”. Emphasising the need for “spillover effects”, Prof Leong encourages colleagues to form communities of practice, where colleagues experienced in CET share learning points with those who are unfamiliar with, yet are interested in offering CET courses. Such conversations can be done through seminars, focus group sessions, and other platforms. On what’s ahead, Prof Leong recognises that with the introduction of NUS L3 and other CET initiatives, NUS is proposing a new educational model which potentially marks a paradigm shift in how the University defines higher education. While such changes and innovations provide manifold opportunities, they also present challenges and disruptions, i.e. it can be “messy”. Her hope is that faculty, students, and alumni can come together to work through some of these potential challenges – policies, pedagogy, support, implementation – for the inculcation of a collective lifelong learning mindset. CDTLink thanks Prof Susanna Leong for sharing her thoughts. In the next installment of this series, CDTLink will catch up with Associate Professor Erle Lim, Associate Provost (Undergraduate Education) who shares with us how and what technology could do to enhance the learning experience of our students, whether they are current NUS students or CET learners.